Berlin is an exciting and vibrant city, a dizzying melting pot of culture, of history and 21st century style. All that ensures there are plenty of people who come to the German capital every year to explore and discover, but after a busy day travelling around the metropolis, all but the most energetic will want to mix in some relaxation and indulgence. Luckily, Berlin’s hoteliers know this and the Mandala is a classic example of a luxury establishment where relaxation and quality are central to everything they do. For starters, it has a magnificent spa and fitness lounge with a bit of zen in every part. With private suites, personalised treatments and some wonderful detoxing, this is a perfect place to spend some downtime. The food is great as well – and that’s official. The FACIL Restaurant has two Michelin stars and specialises in dishes using the freshest of vegetables and herbs for wonderful flavour explosions, under the expert command of chef Michael Kempf. Not only is the food mouth-watering, but the setting is superb. 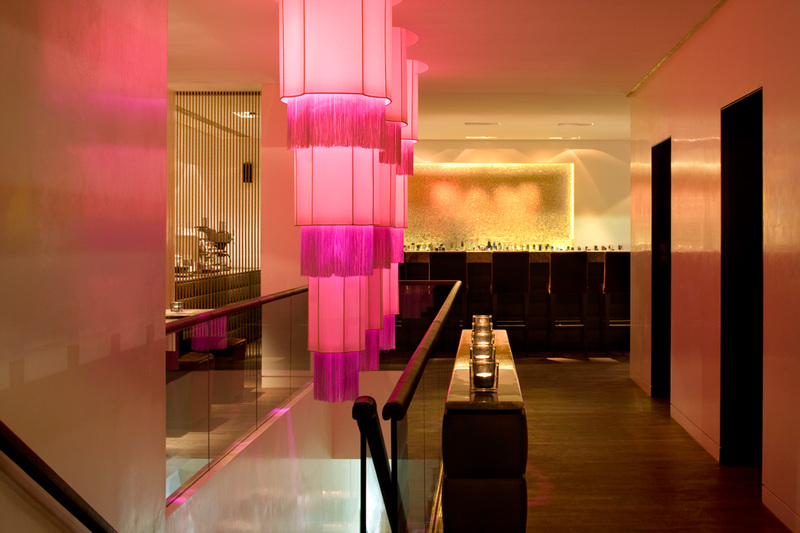 It overlooks the busy Potsdamer Platz, yet offers a refuge from it as the restaurant is located in the inner courtyard, with a breeze blowing through the bamboos and floor-to-ceiling lighting providing a wonderfully relaxing ambience. This oasis of calm in the heart of the city makes the Mandala a perfect base for exploration. It is located right where east once met west and the notorious Berlin Wall split the city. History is everywhere: the Brandenburg Gate, the site of Checkpoint Charlie and the Holocaust Memorial are all within easy reach. There are several U-bahn (underground rail) stations nearby, making it easy to get around. If that wasn’t enough, Potsdamer Platz is now home to a wonderful glass shopping arcade, offering some of Berlin’s best shopping. So for an unforgettable experience of indulgence and relaxation in the middle of one of Europe’s most exciting cities, the Mandala ticks all the boxes.